And, if you need any further proof of traditional road being dead, Assos introduces the XC collection for mountain biking. That’s Assos, a legend of road. The brand that invented Lycra kit. For me, I think it’s great, as I’m spending most of my time riding in the trees, instead a road shoulder. I’ll have demo kit to try soon enough, until then here’s the news. Assos launched the line with Women’s sizing too. The shorts are priced at $229 and the Jerseys are $159. Crafted using a proven lightweight Stripe fabric, this off-road specific jersey offers optimum breathability, keeping you cool on the steepest ramps. 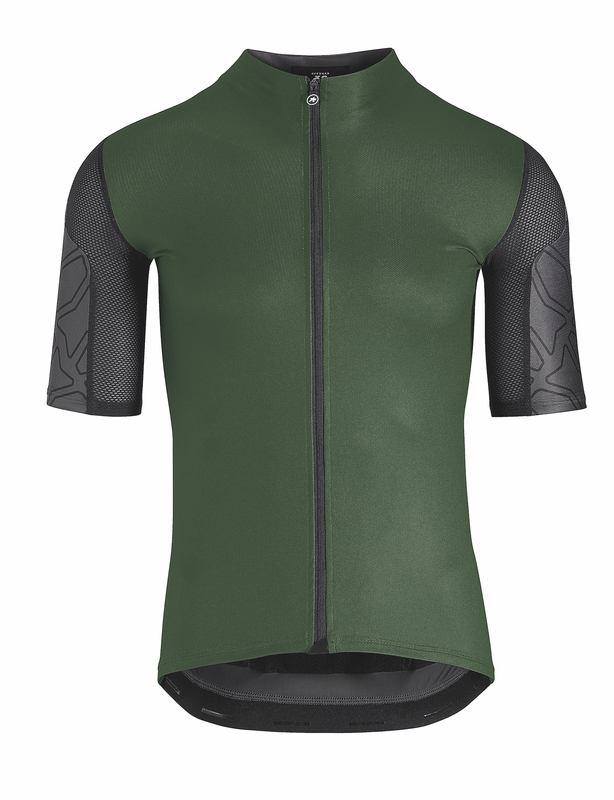 The underarm features an ultra-breathable 3-mesh fabric, while on the back of the jersey, the triple ramp pockets provide ultimate security while riding over rough terrain. Mountain biking, trail riding, or gravel grinding; these off-road XC bibs are tough, lightweight and highly breathable. Employing the ripstop, high abrasion-resistant and breathable dyneRope fabric (a material stronger than steel), these shorts are highly efficient at wicking sweat away from the body, making them the ideal choice for high output use during the summer months. Paired with a heavier skinFoil base-layer and leg Warmers, the XC Bib Shorts can also be your go-to short as the temperatures drop. The MTB-specific insert sits slightly further forward than its road counterpart and is composed of 10mm memory foam, offering optimum comfort in the saddle. XC riders, gravel, and really anyone can now experience high-class performance and Assos quality at a lower price point with this new collection. That price point is the biggest news. Assos regular road shorts cost $219. Considering the price point, I have Assos kit that’s over a decade old. If you take care of it—hand wash, never dry—they’ll last forever.